Welcome to the wild nature of southern Ardèche ! 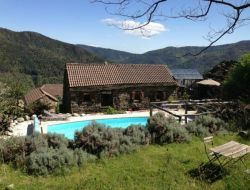 Nice cottage for 7 people, facing south, on 2500 m² of private forest area. 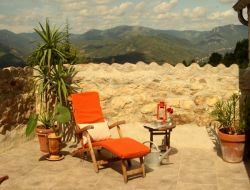 Gite without opposite in which you will benefit from calm, space and comfort, as well as a big terrace full south. Nearby, all activities of mountain walks, wild rivers and nature. Around 10 km away, all the other famous leisure and tourism activities in South Ardèche. Starting point of the descent of the Gorges de l'Ardèche, find this typical village of Vogüe "one of the Most beautiful Villages of France". Accommodation in chambers of 2 and 3 beds or in holiday cottages of 4 or 6 people. 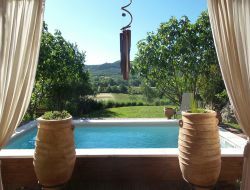 Charming cottage with private pool in the heart of Southern Ardèche, on the outskirts of the village of Chauzon. 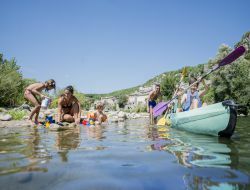 Comfortable cottage, 500m from one of the natural wonders of the Ardeche, the Circus Gens, close to Vogue, Balazuc, Labeaume, Ruoms, Vallon Pont d'Arc known for the gorges of Ardeche. Our lodgings are independent (60 m2, 4/6 persons), enjoying a panoramic sight on Coiron and the Cevennes.They are located on the heights of this picturesque village, in a very calm district, located at 300 meters of the Centre town. You will thus find all the trade and desired services. Nearby: Vallée de l'Ibie - Pont d'Arc - Alba la Romaine - Gorges de l'Ardèche. Near the Gorges de l'Ardèche, we welcome you for a stay of relaxation in our gite of 54m², 2 chambers for 4/6 persons. 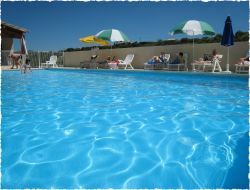 A quiet holiday resort with garden and swimming pool, close to numerous entertainments and activities. 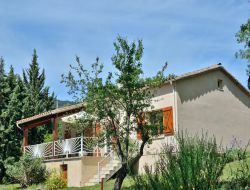 Cottage in a farm in the Ardeche in nature in a quiet and relaxing. Stone house renovated to nine nearby footpaths. Easy access to the Rhone Valley, shops and amenities nearby. 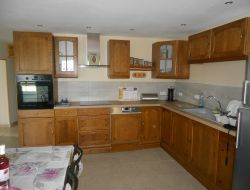 Air-conditioned holiday apartment located in Rouret, in the Pierre et Vacances holiday park. Holiday rental of 33 m², for 4 people, with terrace of 10 m² in the village club with entertainment, swimming pool, tennis, mini golf, children's clubs. Our charming holiday cottages is located in the heart of the Ardèche at an altitude of 620m and is surrounded by forests, small rivers and mountains. The large garden also has various terraces around the swimming pool, which will refresh you during the hot days. There is also a large barbecue in the garden. Nearby: Joyeuse - Les Vans - Aubenas - L'Ardèche - Grottes - Villages charmants - La Nature ! At the heart of the Mounts of Ardèche, former house of a capacity of 5 persons renewed between tradition and modernity. With its walls in stones, its old beams, but also its contemporary side, the gite is very bright with its wide plate glass window giving onto the privative terrace and its panoramic view on valleys. Thierry and Anne Marie welcome you in their holiday cottage " Chez Alice et Clément " for a pleasant holidays in Ardèche. This big family house completely renovated and fitted out in the only purpose to return your pleasant stay can welcome 6 people; the terrace will allow you to have a fantastic view over Vals les Bains, as well as on the Massif of Coiron. 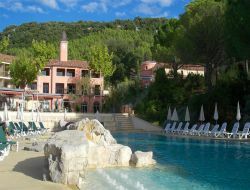 In the background you can perceive the Mount Ventoux as well as the mountains of Vercors.